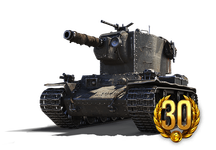 Looking for a Medium Tank? The 41st Millennium hits the World of Tanks universe in a unique mash-up bringing you the KV-2 (R) Valhallan Ragnarok and the BDR G1 B with the Mordian style set. This isn't something we’d normally add to the vehicle roster, but hey, that's the beauty of making the rules up as you go. First, let us just give massive thanks and kudos to the stalwart folks from the Games Workshop team for partnering with us and helping give our community even more options to experience tank combat. Now, here’s a quick introduction to the Warhammer 40,000 universe for those new to it. The Warhammer 40,000 is the pinnacle of tabletop wargaming with battles that are never the same, just like World of Tanks. Its distinct visual styling blends elements of science fantasy, creating a beautifully dark atmosphere that has amassed a massive following over the years and many people on our team are part of it. As passionate fans of the Warhammer 40,000 universe, we always wanted to create something off it; something that would stay true to the renowned fantasy IP but also resonate with World of Tanks. Firepower: The 152 mm Howitzer with HE shells will do lots of damage to any and all tanks in their path, regardless of Tier. 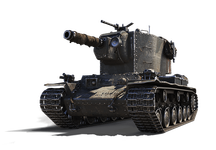 Go hunting big Tier VIII tanks or cripple Tier V tanks! 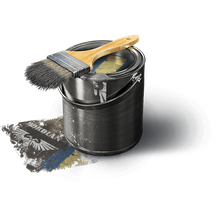 Protection: Although not particularly thick, the KV-2 (R) armour is perfect for side scraping. It’s effective enough for a roll into the gunfire provided that you keep your front plates protected. Don’t go out on your own: Once you've fired, find some cover as you wait roughly 20 seconds for your gun to reload. You'll be largely vulnerable at this point and the enemy knows this. Make sure your back-up matches you tier-for-tier or one tier lower. Use the fear factor: The KV-2 (R) often keeps tanks that should destroy it at bay, out of fear of being hit by its 152 mm gun. Carry a scout around: Your view range won’t do much good, so bring along a fellow LT whenever you want to see anything. As if one Astra Militarum battle tank wasn’t enough, you can customise your V BDR G1 B with the Mordian style set. The soldiers of the Hive World known as Mordian are grim, and amongst the most highly disciplined warriors in the Warhammer 40,000 universe. Channel their well-earned prowess by venturing into battle proudly displaying their livery. If you like the sound of that, enrich your vehicle collection, round up your fellow tankers, and venture forth for glory! Note: Does not apply to first victories. Must rank in Top 10 by EXP earned.